Perlite is a volcanic mineral that looks like styrofoam when expanded and allows for increased drainage. Cannabis plants, in particular, thrive with it because the glass-like bubbles in the perlite encourage drainage and ensure oxygen is provided right to the plant roots. Cannabis plants show tremendous growth with horticultural perlite because when it is mixed with soil, it creates a very oxygenated environment allowing for faster draining so you can feed your plant more fresh, essential nutrients. To use, simply mix two parts soil to one part perlite for increased drainage and oxygen at the root zone. When it comes to cannabis growing, perlite size and quality does matter. It’s ideal to have the least amount of fines as possible, as fines don’t hold water or aerate the soil nearly as efficiently as bigger kernels. While it may be tempting to go with the largest kernel on the market, you could actually be causing more problems if you do; larger grades are softer and tend to break down into fines during transport, which negates your decision to go big. At Dicaperl, our perlite ore produces a large grade expanded product that is harder and more consistent, so when you open your bag, you can expect kernels—not dust. You’ll find this durable horticulture perlite is “just right” for your cannabis growing needs. 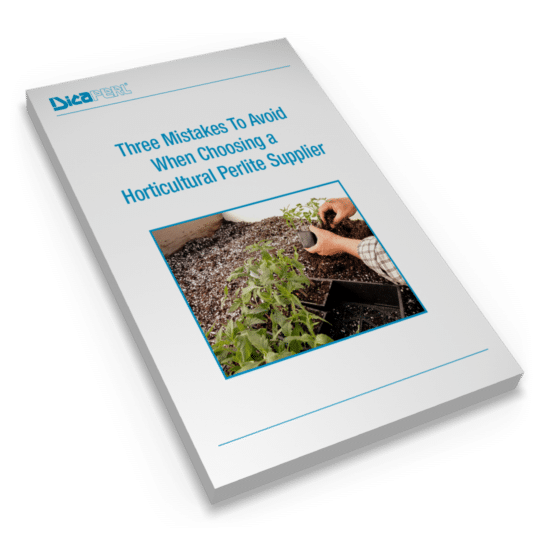 Once you decide perlite is the right choice for your soil growing media, you then need to choose the right supplier. Not all perlite is created equal, and neither are all suppliers. 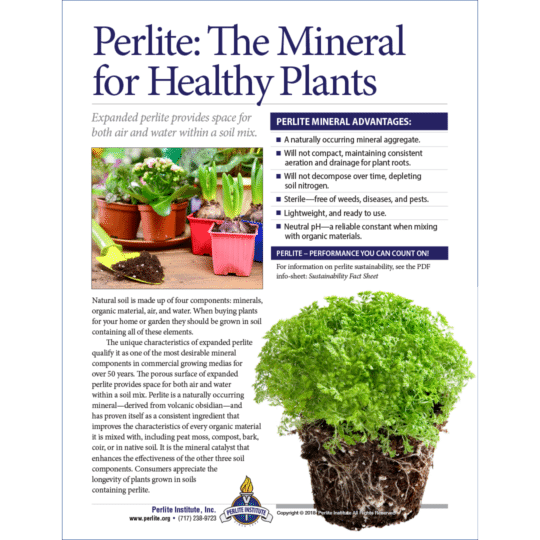 Expanded perlite provides space for both air and water within a soil mix. Learn why this mineral has advantages that lend itself to plant performance.